SysAid > Company > Newsletter > Issue 70: Are you excited about Black Friday? In fact, until December 1st only - Saturday, Sunday, Monday, Tuesday, Wednesday, and Thursday just got better too! SysAid is in the midst of an epic "Black Friday" sale where you can get a 50% discount on our 8-Hour Professional Services Package - that’s $1200 worth of professional services' hours for just $600! Now’s the time to make the most from your SysAid implementation. 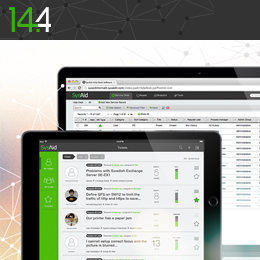 Our latest On-Premise release – SysAid 14.4 – offers a number of new and improved capabilities, many of which have been inspired by your feedback and new feature requests. There’s several SysAid Service Desk enhancements, plus we’re launching SysAid’s new iPad app. Make sure you watch the global webinar to understand what’s now available, along with how to use these new capabilities. 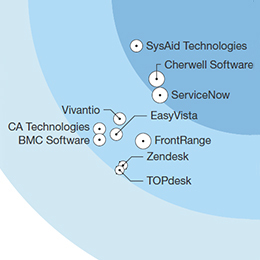 Thanks to the support of our customers, it was a double-header for us this year, with our placement in the Gartner Magic Quadrant for ITSSM Tools, as well as being named "a leader" in the 2014 Forrester ITSM SaaS WaveTM report, where we received highest scores for "current offering" and "client feedback on value for money". Don’t just take our word for it though. Please enjoy your complimentary copy of the full Forrester Wave report. Oh, how we love our IT service management (ITSM) discussions! So why should English be the only language we converse in, right? 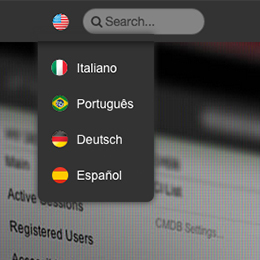 That’s why, in addition to offering our service desk solution in 42 languages, we’ve also been working diligently to transform our English-language website to Italiano, Portugués, Deutsch, and Español. What language should we do next?